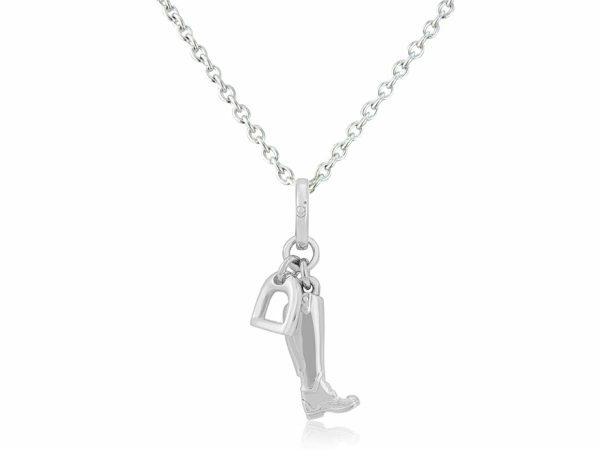 The perfect pendant for any anyone who loves to be on the back of a horse! Featuring a riding boot and a stirrup with sparkly stones in the tread. All parts in sterling silver. Choice of 2 adjustable chain lengths.